We thought it would be pretty challenging to find interesting new restaurants around town, until we stumbled upon Vibe Lounge—a multi-cuisine eatery (established in December 2017), located right along the main thorough fare of Lazimpat. Shakti Pradhan, one of the restaurant’s five co-owners, is currently overseeing the management of the place. While we sampled some of their best picks (when we recently visited the place), Pradhan explained to us how Vibe Lounge caters to customers of all stripes, and how they focus on all the meticulous details needed to outdo other similar establishments in the neighbourhood. Immediately after getting done with college in London, Pradhan returned to Kathmandu and opened his first venture, Tipsy Beans, at Naxal. He later launched Café Déjà vu, as a joint venture. He then started Vibe Lounge, along with his partners—Nima Lama, Diwas Shrestha, Bikash Gurung and Anju Chettri. “The whole team believes in respecting one another’s opinion. And this fusion of varying ideas is what really gets Vibe going,” says Pradhan. 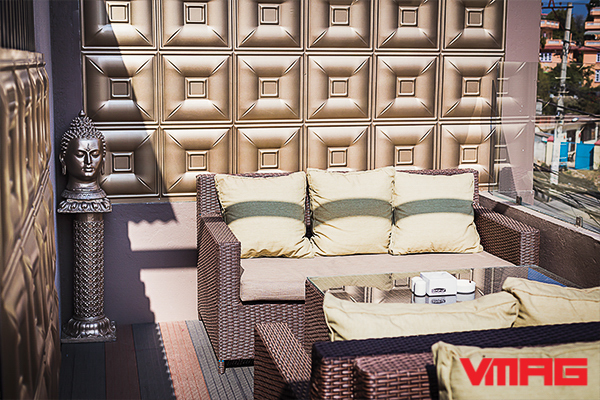 Vibe Lounge is spread over the top two floors of a rather unassuming residential building, and the interiors have been designed by Pradhan himself. Upon entering the premises, what you will first notice is a cosy space on the first floor, which features pleasant, homely décor that plays with soft hues. The restaurant’s second floor features contemporary design elements that are put together rather well. The floor also has a main hall, which features live performances on the weekends (with soundproof walls to contain the music), and a gorgeously lit bar tucked away in one corner. 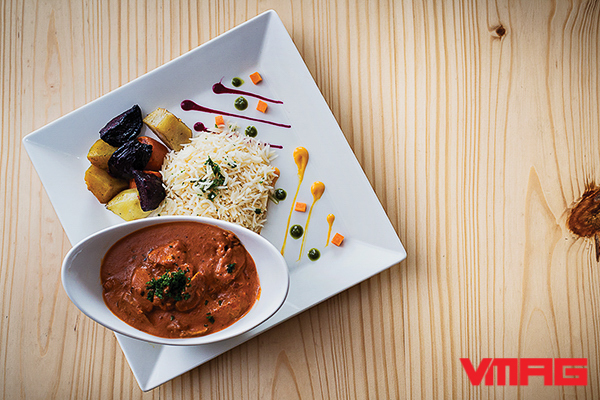 Rabi Joshi is the executive chef at Vibe Lounge, who has more than 13 years of culinary experience. Currently, he has two commis chefs and eight kitchen staff under his supervision. 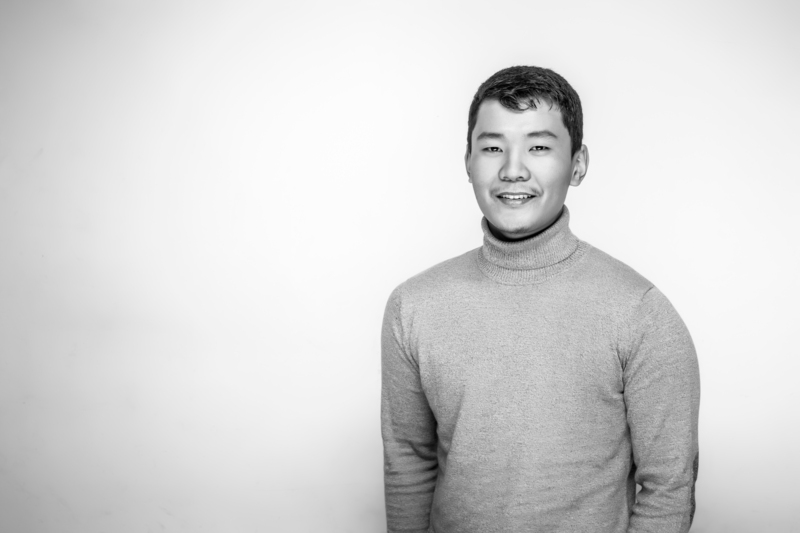 After obtaining an advanced diploma in hospitality management from Sydney, Australia, he started out in the food industry with a stint at a restaurant in Darling Harbour, in Sydney. 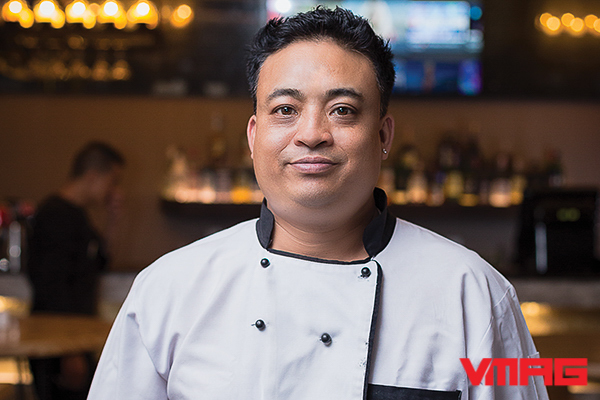 Joshi returned home in late 2012, and has since worked as an executive chef at various restaurants, like 1905, Old Durbar, Third Eye, Yin Yang and Tipsy Beans. He specialises in Italian and French cuisines, and loves experimenting with his creations. Joshi is a stickler for neatness and focuses on the presentation of his dish. 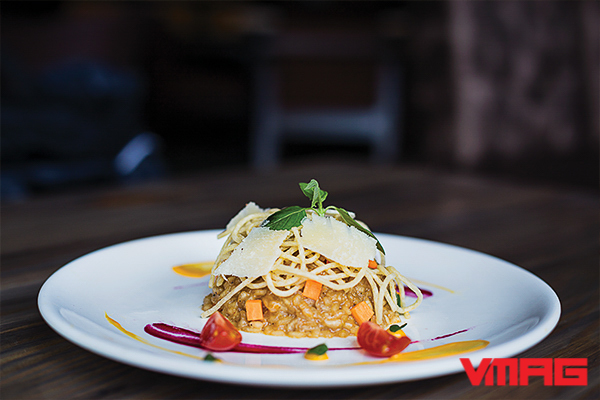 What Vibe calls a ‘soft-opening menu’ features an array of continental dishes that are definitely worth splurging on. We sampled some of the dishes that have become extremely popular among Vibe patrons, which also happened to be some of Joshi’s favourites. First, the chef presented us with Grilled Chicken Misto, an Italian dish, which is one of Vibe’s signature offerings. This dish is made from chicken breast (marinated in salt, pepper and olive oil) that is tenderly grilled and dipped in a creamy-spicy tomato condiment, which is actually Joshi’s own way of bringing an eccentric twist to the food. The dish, also featuring chicken sausages (a nice addition), is served with buttered rice, which goes well with the juicy chicken. Another crowd favourite (a dish we thoroughly enjoyed) is the Bacon Wrap Chicken Deluxe. It’s made up of tenderly cooked chicken breast stuffed with sautéed mushrooms and wrapped in thinly sliced grilled bacon—-all of which goes in the oven for approximately 15 minutes at 200 degree Celsius. The mushroom makes for a neat way to keep the baked chicken breast from becoming dry, while at the same time infusing a lovely flavour to every bite. Vibe also has a host of wrap options, such as Chicken Strip wrap, BLT (bacon, lettuce, tomato) wrap and Veg Delight wrap (a combination of seasonal veggies with cottage cheese). This ‘soft-opening menu’ seems to be setting the right tone for now, and guests cannot wait for the restaurant to release its ‘grand opening menu’ next month. We also tried the Mushroom Pumpkin Risotto, another Italian dish. Made up of Arborio rice (an Italian short-grain rice), it is cooked with sliced mushrooms and diced pumpkin, and is mixed with chicken broth, which gives it a sticky texture. The dish is garnished with parmesan cheese and served with some crispy noodles.